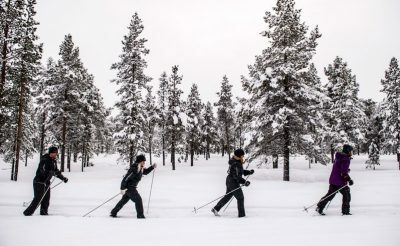 Combine travel by train with self driving on this independent holiday through Swedish Lapland and Northern Norway. 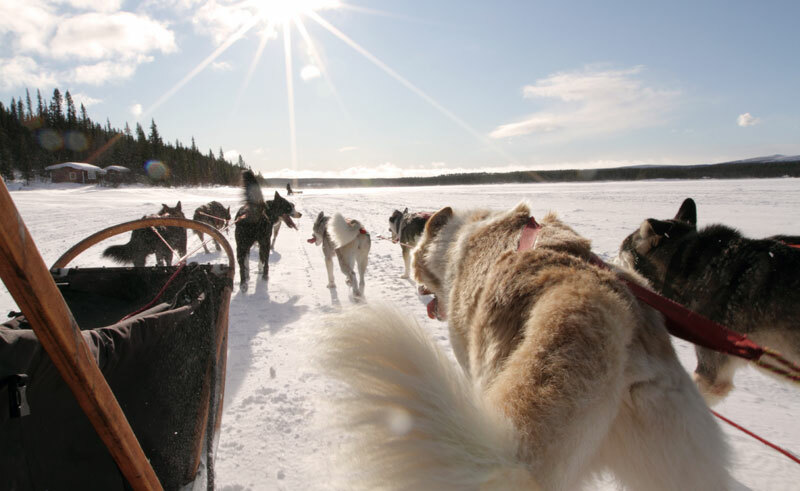 Experience the magnificent Icehotel and spend a night in Abisko National Park, a prime spot for aurora viewing. 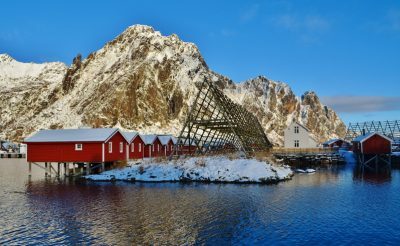 Enjoy two scenic rail journeys and drive around the stunning islands of Vesteralen and Lofoten. 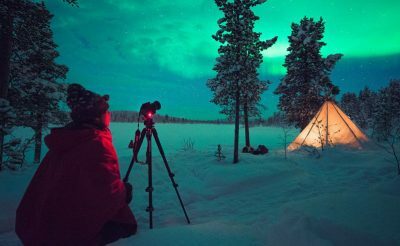 The longer daylight hours allow time to fully appreciate this incredible scenery, and the dark Arctic nights often play host to the surreal northern lights. 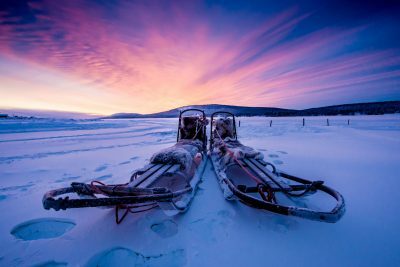 A stay at the Icehotel is a great way to begin your Arctic adventure. 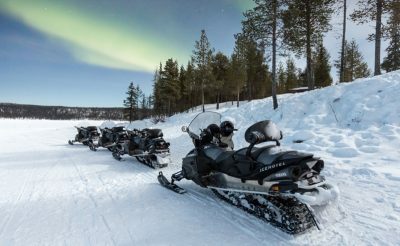 By day, choose from an exciting array of optional activities or excursions and by night, keep watch for the aurora. 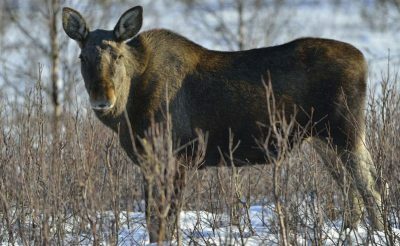 Continue by rail into the pristine wilderness of Abisko National Park, the domain of freely roaming reindeer. 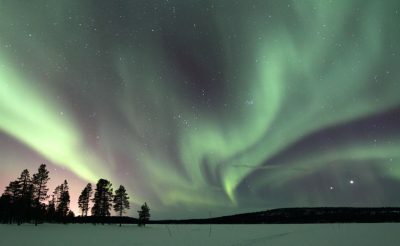 In the evening take a chairlift to the Aurora Sky Station, where sightings of the aurora under a vast expanse of sky are often some of the best in Lapland. 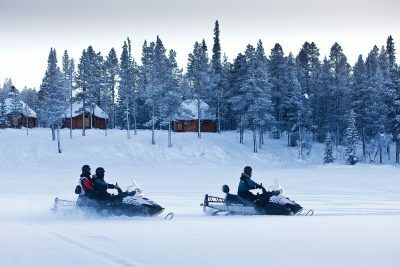 Venture further north by train, across the border into Norway to the coastal town of Narvik, then by bus to Evenes, where you collect your rental vehicle and head off towards Vesteralen. Excellent road and bridge connections between the islands mean driving here is simple and straightforward so relax, enjoy the scenery and some lovely little fishing villages. Further south in Lofoten, you'll notice the horizon is dominated by the rugged Lofotenveggen mountain range, which forms the backbone of the islands. Charming Svolaer is where you spend your last two nights on this adventure. 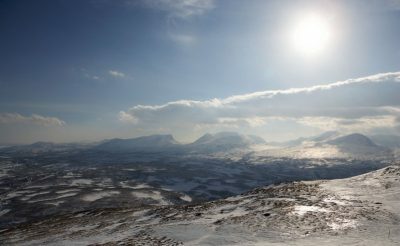 Swift weather changes here provide magnificent light conditions and, coupled with dramatic, awe-inspiring scenery, this place continues to inspire artists and photographers alike. 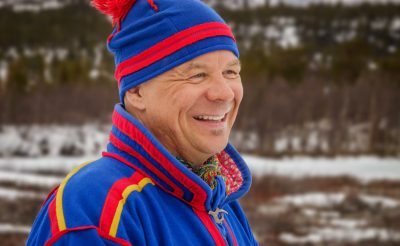 Sleeping on ice is one of most unique experiences in the world. Surprisingly very cosy in the thermal sleeping bags. 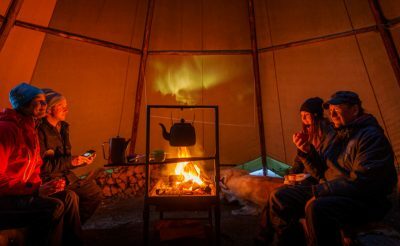 The worst part is having to leave the warmth of your sleeping bag in the morning! 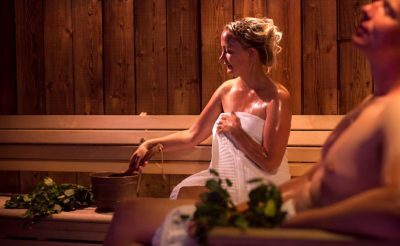 You may wish to add extra nights either in Lofoten or at Abisko or perhaps choose an alternative hotel in Lofoten. 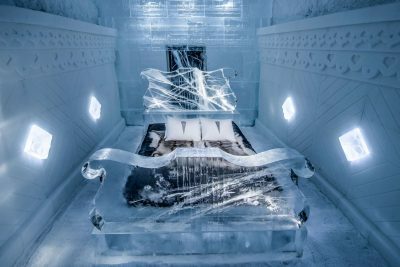 At the Icehotel you can upgrade from an ice room to an amazing Art Suite from £79 per person per night or a Deluxe Suite from £233 per person per night. 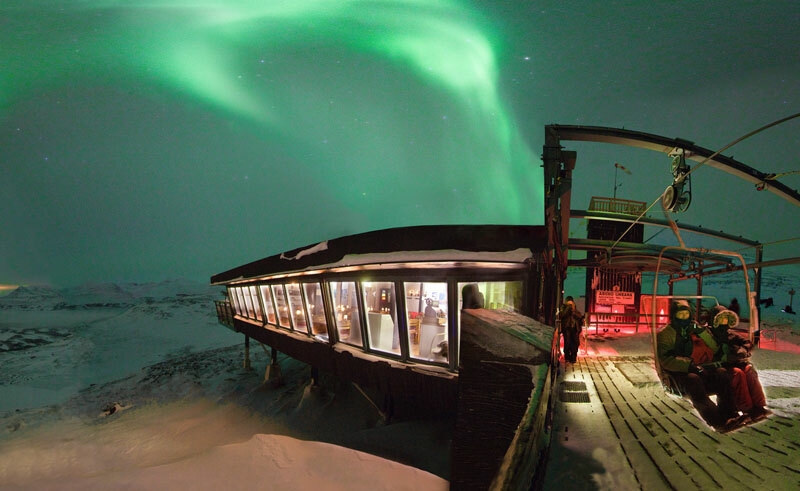 Why not upgrade to a four course dinner served in the cosy restaurant at the Aurora Sky Station. 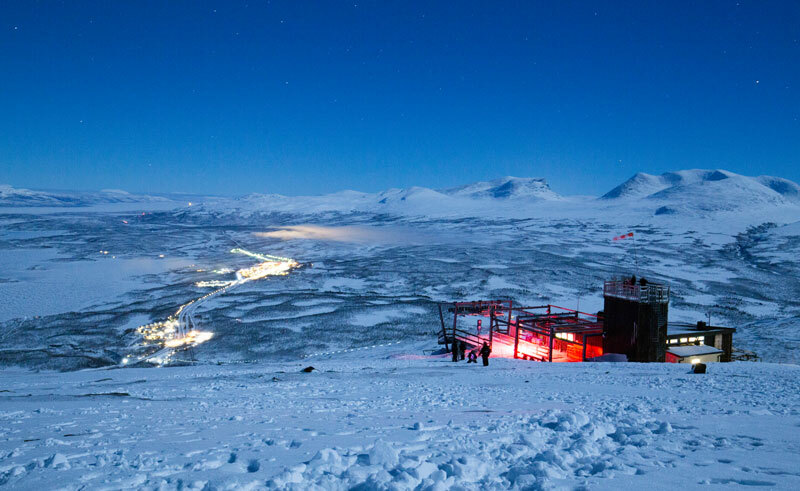 You will travel up by chairlift earlier than other guests and enjoy the peaceful Abisko National Park in darkness. As your eyes become more accustomed to the light conditions, you will see more and more as you gaze up at the night sky, the bright stars twinkling above you. Please note, should it not be possible to visit the Aurora Sky Station (due to weather/climate conditions or technical reasons), an alternative viewing area will be chosen subject to local conditions. 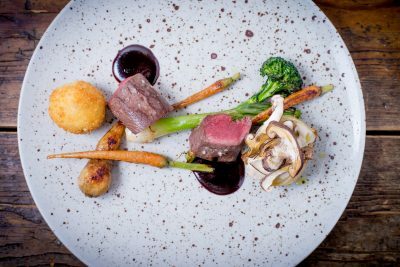 If you have pre-booked the upgraded dinner at the Sky Station this will be provided at the Abisko Mountain Station instead. 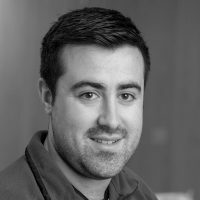 Please contact our team of Travel Specialists team to discuss these upgrade options. 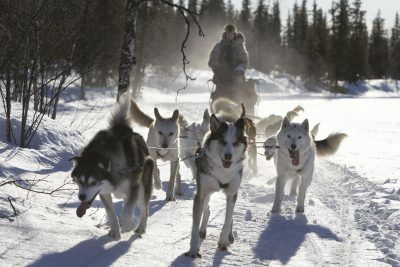 Transfer to the Icehotel and check in for a 2-night stay, before taking a short guided tour. 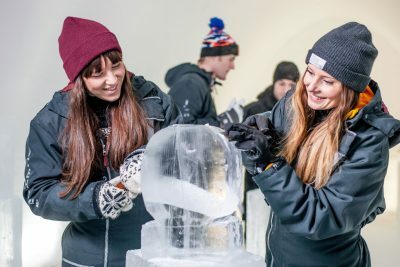 Spend one night in a warm room (hotel-style or cabin) and the other in an ice room to experience 'sleeping on ice', fuelled no doubt by a colourful vodka cocktail from the Icebar. 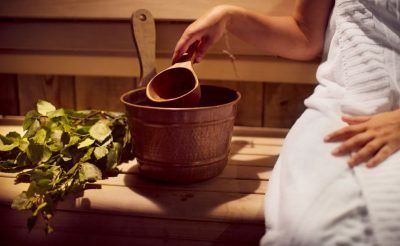 Enjoy one or more of the optional activities or explore Jukkasjarvi and its beautiful surrounds. Travel by rail (around 1.5 hours) to Abisko. 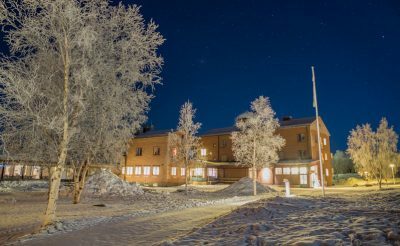 Abisko Mountain Station is a short walk away, next to frozen lake Torneträsk with a backdrop of high mountains, the most distinctive of which is U-shaped Lapporten, also known as the gateway to Lapland. 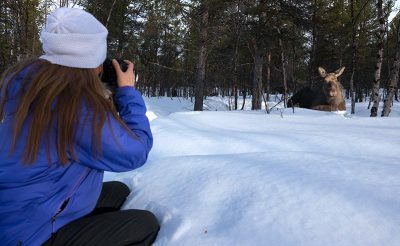 Afternoon exploring the national park before dinner, then take the 20 minute chairlift to the Aurora Sky Station for northern lights viewing (cannot be guaranteed). Warm up at the Summit Café where you can see a small exhibition then return to the Mountain Station by chairlift and perhaps have a drink in the bar before retiring. 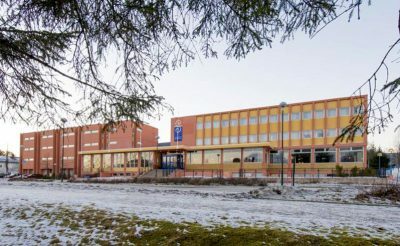 Travel by train to Narvik, then collect the rental car from the local office before driving to Vesteralen and the Hotel Sortland, your base for 2 nights. 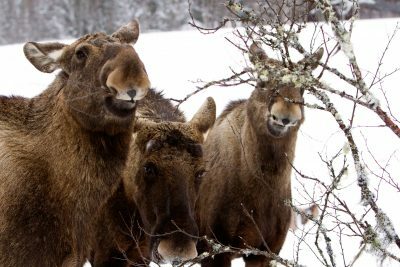 Explore Langoya and Andoya, perhaps join a whale watching trip from Andenes or visit Nyksund, a once thriving fishing village that was left to ruin, now thankfully undergoing restoration. In Ringstad opt for a sea eagle safari or choose to kayak in the sheltered bay (dependent on weather conditions). 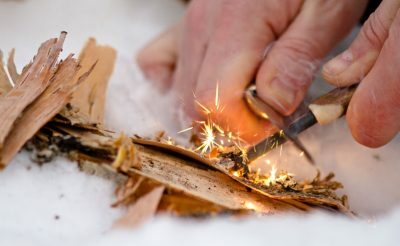 Drive to Stokmarknes and visit the Hurtigruten Museum before continuing to Melbu. Take the car ferry to Fiskebol (additional cost) then continue to Svolvaer for a 2-night stay. 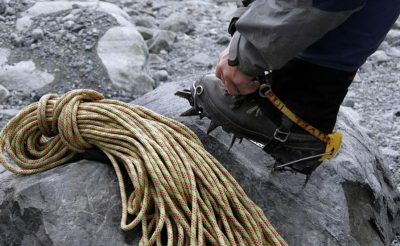 Explore Lofoten or join one of the optional excursions. 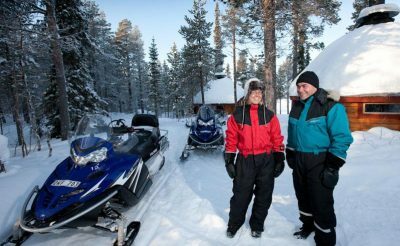 Return to Evenes Airport, drop off your vehicle and catch your flight home. 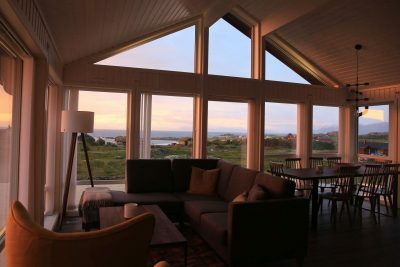 Beautifully positioned on the waterfront and within easy walking distance of Svolvaer town centre. 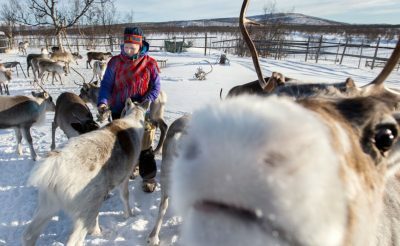 Abisko National Park lies 200km north of the Arctic Circle, right in the heart of the land of the northern lights and the midnight sun. 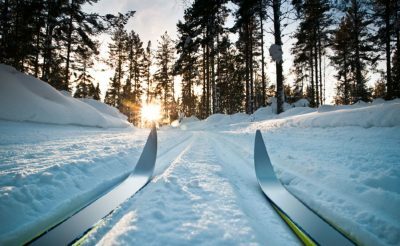 This tour is ideal for those who are new to cross country skiing. 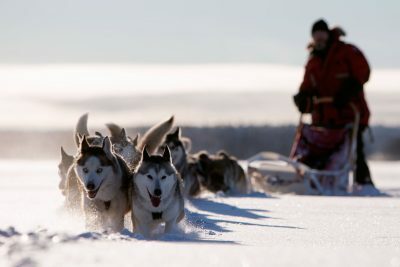 You will be guided around Abisko National Park at a relaxing pace in search of the Northern Lights. 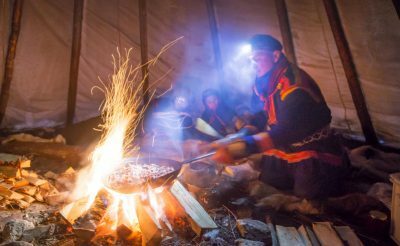 Visit a reconstruction of a traditional Sami camp and see what life was like for the Sami people in the late 19th century. 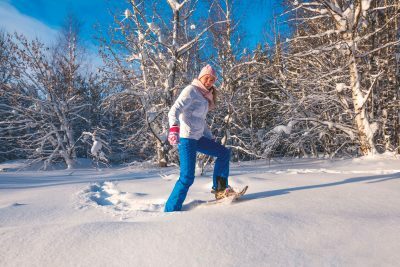 Join an exciting snowshoe hike in the wild Abisko National Park, surrounded by the Abisko Alps and the steep slopes of Mt. 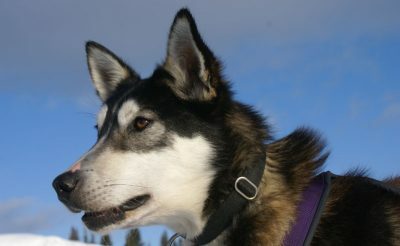 Nuolja.